Hide placement can make or break your nose work training program. Placing thoughtful hides to work specific skills is important for learning how scent moves and how to read your dog better. This is a hands on workshop. Participants will be placing hides and running dogs on the hides. ​ Prerequisite: Open to all levels. Dog must be on odor. This workshop will take your training to the next level. Pooling odor in containers can make things more challenging during container searches. Distractors and pooling odor will be reviewed and exercises will focus on building effective container searches with varying levels of distractors and pooling odor challenges. Prerequisite: Open to all levels. Dog must be on odor. This workshop will cover strategies for competing in NW3 and Elite. Assisting the dog in making the jump to the higher levels in nose work while maintaining drive and speed. We will work on covering the search area, knowing when the dog is done searching and much more. Strategies for Elite searches will be discussed. prior to January 12. No refunds available after January 12. Nancy Reyes has been a professional dog trainer for the past 25 years. She began her love affair with animals when she was very young. Over the years she found that she enjoyed training dogs and learning more about animal behavior. During this time she discovered another passion, working with shelter and rescue dogs. For the past 15 years Nancy has donated much of her time to working with various rescues in the Midwest. She has provided training and evaluation assistance as well as fostering in her home. She has even rescued a dog or two or six. Nancy conducts training workshops for volunteers from As Good As Gold and various other rescues groups and shelters at various locations in the Chicago suburbs. These workshops are geared toward education rescue volunteers on reading dogs and handling techniques. In 2004 Nancy decided it was time to venture out on her own and opened For Your K9 Inc. Melrose Park, IL. For Your K9 offers a wide variety of classes including Obedience, Agility, Rally Obedience and Conformation. Nancy’s training philosophy is focused on developing and strengthening the bond between people and their dogs. She believes that good communication and mutual respect are key for the success of any relationship. Her approach is based on her mentor and teacher, Suzanne Clothier’s Relationship Centered Training. Her working relationship with Suzanne has expanded over the years into working on the temperament assessment (C.A.R.A.T) Suzanne developed for Guiding Eyes for the Blind. This program provides a way to assess dogs in order to determine their individual characteristics. While working on this project, Nancy has conducted temperament testing for a variety of breeders and rescues in the Midwest. She is also working on the longitudinal comparisons for the dogs previously tested. 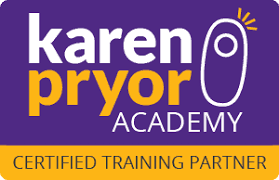 Nancy is currently working with Suzanne on the C.A.R.A.T certification program for shelters, breeders and trainers. Nancy has competed in a variety of canine activities such as obedience, agility and of course K9 Nose Work®. Nancy is a member of the Association of Pet Dog Trainers and is on the National Board of World Cynosport Rally. Nancy Reyes is a Certified Nose Work Instructor and is also a Certified Mental Management Instructor. She lives in Chicago with her husband, Gonzalo, and their 7 dogs which range from Miniature Pinscher’s to a German Shepherd.